Millions of travelers converged in cities along the darkest path of what has been coined "The Great American Eclipse", which begins in the morning over Oregon and exits in the afternoon over South Carolina. 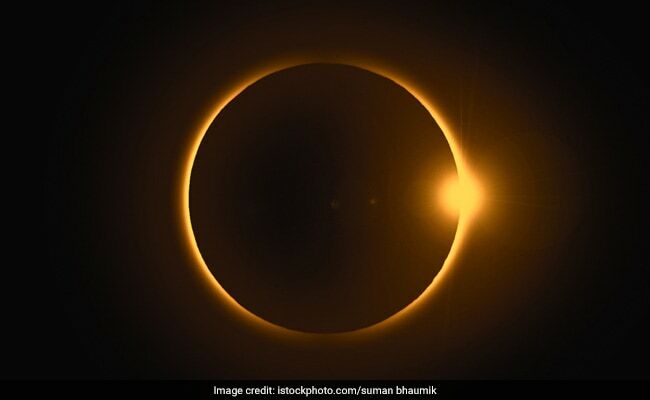 Madras, Oregon: Skygazers across the United States awoke in excited anticipation Monday of witnessing the Sun briefly disappear, with the first total solar eclipse in 99 years to cast a shadow on the entire continent just hours away. Festivals, rooftop parties, weddings, camping and kayak trips and astronomy meet-ups popped up nationwide for what NASA expects will be the most heavily photographed and documented eclipse in modern times, thanks to the era of social media. More than 100,000 people have gathered in Madras, Oregon, typically a town of 7,000 that is one of the first places to see the eclipse once it begins. The National Guard had to be called in to assist with traffic jams, the Los Angeles Times reported. In downtown Charleston, vendor Jan Dahouas sold T-shirts emblazoned with "Eclipse 2017" and buttons that read "Keep Calm and Stare at the Sun." "I am really pumped up about it," said Dahouas, who is from Atlanta, Georgia. Many people who have seen eclipses in the past describe the experience as an emotional one, as the sky goes black, birds return to their nests and the air chills. "It is such an incredible, sensory-overload kind of event," eclipse-chaser Fred Espenak told AFP of the first total solar eclipse he saw in the United States back in 1970. Espenak, now 65, is a retired NASA astrophysicist who has been to 27 eclipses, and seen 20 of them- cloudy weather interfered with the rest. He will be in Wyoming on Monday. The "total" part of the eclipse, when the Moon moves between the Earth and Sun and blocks all of the Sun's light, starts at 10:16 local time (1716 GMT) over the Pacific coast of Oregon and ends at 2:48 pm (1848 GMT) over Charleston, South Carolina. The total eclipse will carve a 70-mile (113-kilometer) wide path of darkness over 14 states. The only safe time to look at it is for those within the path of totality- and only during the brief moments when the Sun is completely blocked. Cloudy weather and thunderstorms threatened to dash viewers' hopes in some places, including the bustling coastal city of Charleston, replete with cobblestone streets and multi-story mansions. Some of the clearest views were expected along the west coast and in the midwest. For those unable to witness it in person, NASA was counting down the minutes until it begins a live broadcast of the event at 11:45 am (1545 GMT). Astronauts orbiting the Earth aboard the International Space Station are also planning to document the eclipse, and will get to see it three times. "My first solar eclipse from space...We're ready!" wrote Italian astronaut Paolo Nespoli.